The book opens with three girls visiting the local "witch" to have their fortunes told. The first two ask whom they will marry and are given satisfactory answers. The third is not eager to know this answer, but the first two convince her to ask, so she does. The answer? She will marry the Black Bull of Norroway. Yes, a literal black bull. So why did I enjoy this book so much? It's inclusive. 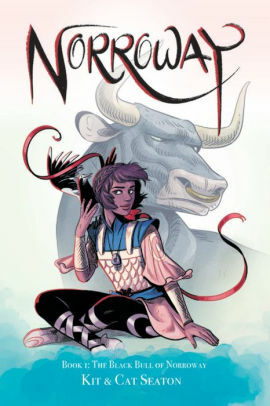 The heroine is a woman of color, but the bull's family is Black. (I will be interested to hear Black reviewers' take on this given the ways in which Black male bodies were treated during slavery in this country, called "bulls" and so on.) 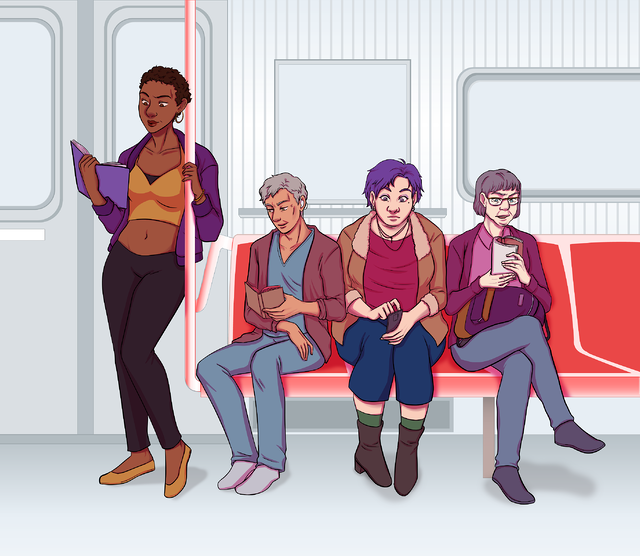 The bull's sister is queer and her partner is Asian and nonbinary. No one is "good" or "evil." The Bull kills someone during the book and there's a bit of other violence, giving it the R rating in our database. The heroine is grumpy and stubborn. 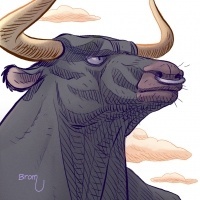 The Bull is stubborn and growly. Neither of them particularly like this situation but you can tell they're going to fall in love. The rest of the characters in the book are also on the morally gray spectrum, with unclear motives and dodgy actions that may or may not be motivated by good intentions. It's rather funny? 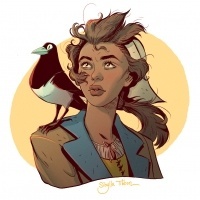 I didn't expect to laugh while reading an enemies-to-spouses folktale, but the Seaton sisters have thrown in some physical gags and a mischievous magpie who lighten things up. In summary, I adored this comic. I can't wait to see how these two anti-heroes get together and save the Bull and his family from the curse.